Thank you to all our fans & supporters for voting Infamous Brewing Co. As Austin-A-List's BEST BREWERY OF 2013. The Austin craft beer scene is exploding. With the abundance of choice beers created in and around the city, don’t forget to try the burgeoning brews that are being bottled in our own backyard. Located off Hudson Bend at 4602 Weletka Dr. sits Infamous Brewing Company, in a small, unassuming commercial park. But don’t let the quaint Lake vibe fool you—this brewery and its brews really pack a punch. 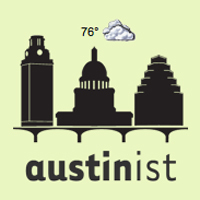 Infamous Brewing Co. has been nominated for best Austin brewery by Austin A-List! Over a shot of whiskey in a New York City bar, Josh Horowitz and Zack Perry decided to make craft beer. “Two guys walked into a bar and walked out with a brewery,” said Perry, who moved to Texas to begin his venture with Horowitz. 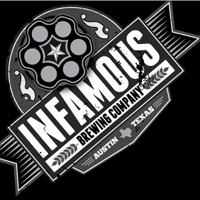 This spring, Infamous Brewing, based in Austin, made its first deliveries to retailers, and it plans to produce up to 2,000 barrels in its first year. The efforts of Infamous Brewing and other craft brewers to gain a foothold in the Texas market received help this year with the biggest legislative overhaul the industry has seen in 20 years. 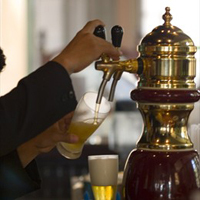 Lawmakers this year approved legislation that allows small breweries to sell their products to customers to drink in the brewery’s tasting room. 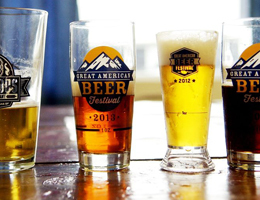 The old law prohibited any direct sales by a brewery, requiring samples to be free. Now these breweries can sell up to 5,000 barrels at in-house bars and beer gardens. 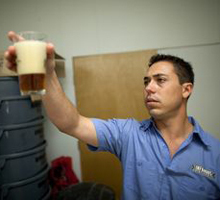 The 83rd Texas Legislature has made it easier for craft brewers to break into the market. The leaders of Austin-based Infamous Brewing talk about how their operations are changing under the new regulations. The current two offerings from Austin’s Infamous Brewing have been available in Houston for just about three weeks now, according to head brewer Matt Bitsche. Their accounts include all the usual suspects like Hay Merchant or Mongoose vs. Cobra, though conspicuously absent was craft beer haven Petrol Station – perhaps that’s why I hadn’t yet seen Infamous beers on draft. Bitsche and co-founder Zack Perry were on hand yesterday at Local Pour to introduce themselves to the Houston market and talk beer. New brewery opens in Hudson Bend, others look at expansion With a new craft brewery opening in Hudson Bend, new and existing craft breweries expanding and multiple craft beer bars opening, industry aficionados say Central Texas is in the midst of a craft beer renaissance worthy of a toast. Meanwhile, brewers and economists say further growth is expected if the Texas Legislature passes a set of bills that would loosen restrictions on craft breweries and brewpubs. The bills passed the Senate in March and are awaiting approval from the House of Representatives. Talk about a frothy success story! 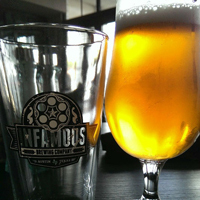 Despite only starting to brew beer just six weeks ago, Infamous has already found its way into 30 bars around town, including Little Woodrow’s, The Dig Pub, and The League Lakeway. The brewery is based off Hudson Bend Road (tours coming soon, they say), and currently produces two brews: The light-and-tasty Hijack cream ale, and a hoppy IPA. Both offer great body and taste for our coming Texas heat. To brewmeisters Josh, Zach and Matt, congrats on your success so far and cheers! We captured a bit of Infamous Brewing Company's official launch party at Banger's Sausage House & Beer Garden in Austin, Texas. Got to hear about how they got all met each other and got started and best of all, we got to try some of their delicious new beer! Partners Josh Horowitz and Zack Perry started Infamous shortly after meeting in New York in 2011. 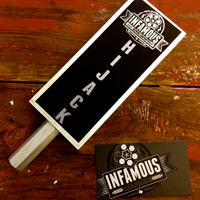 Infamous launches with Hijack, a cream ale. I haven’t had a chance to try the first beer yet, so I asked Horowitz if he could give us a rundown of what to expect. He said he wanted to start with that style because he used to drink a lot of Genesee Cream Ale in his youth. “When I moved to Austin a local place was serving that beer. Needless to say, it was not the great beer I remembered. So I set fourth to create a good cream ale. While looking into the style. I found that cream ales were originally brewed in the early 1800’s to combat lagering times and temps. It was way to get a lageresque ale. Light dry & crisp, with the pilsner malt standing out to give you that lager feel. Infamous Beginnings: The upside to living in a budding beer metropolis is that there is a steady stream of earnest upstarts vying for our collective palatal allegiances. 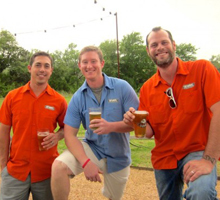 The lastest to present their case to the thirsty jury is Infamous Brewing Company out of west Austin. 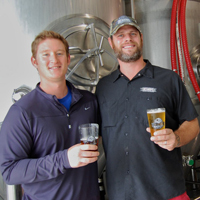 Partners Zack Perry and Josh Harowitz met at the now-defunct beer bar, The Hairy Monk in New York -- and like any proper idea, came to the pint-assisted conclusion that they should leave their well-established careers to open up a brewery in Texas. 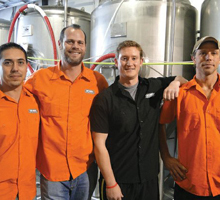 After initiating base camp in Austin, they brought on Matt Bitsche as Head Brewer.